Located within a Big Five private game reserve in the Greater Kruger Park area, Jabulani a Relais & Chteaux property, offers a unique opportunity for gracious living in a five-star luxury lodge. Each of the 6 spacious and elegant suites are luxuriously furnished and features both a private deck and a plunge pool. Children are welcome at Jabulani from the age of six and at Zindoga Villa at any age. Jabulani is a place to indulge your every sense, a place to explore the African wild and reconnect with nature, experience amazing wildlife and enjoy superb cuisine. Your dedicated Jabulani ranger will ensure that your safari experience is tailor-made to your personal preference, whether laid back and relaxed or filled with game viewing and other activities. Learn about our inspiring journey that began with a herd of elephants being rescued nearly twenty years ago. Truly a soulful, insightful and unforgettable experience. "We had a wonderful and unforgettable honeymoon at this hotel! Our room was perfect! All the staff are very friendly and support to everything! We also loved the elefant experience, was very special..."
"Just returned from a honeymoon trip at Camp Jabulani. Everything was perfect, this is a hotel that looks after every detail. We had a really nice dinner in the bushes, and the food was always..."
"5 star experience and the interaction with the elephants was wonderful. The food and lodging was exceptionall as was the service, just over the top! If you want a close encounter with the elephant..."
"being owner of a travel company i have travelled around the world to many exotic locations worlwide but camp jabulani has been very amazing for me from my stay to the safari and food which was so..."
"Outstanding in every possible way!" "We have just returned from 3 days at Camp Jabulani and are struggling to adjust to normal life after being treated so well in such amazing surroundings with amazing hosts and a simply unforgettable..."
"Was celebrating a double birthday with my family. The staff really made it an exceptional experience! In addition the safari experience was awesome with us seeing the big five twice over the 3 days..."
"Very very special experience! Great group of staff, amazing rangers and the camp is in a absolutely gorgeous place. We got to see so many animals very closely but always respecting their space. Also..."
"We had an awesome experience at Jabulani The entire deal is breathtaking, the setting, luxury and staff with highest attention to detail. They arranged special events each day (special dining..."
"My wife & I spent a weekend away at Camp Jabulani - a Valentyns gift. What an awesome weekend filled with everything needed to recharge your energy after a week in the city! Including romantic..."
"Absolutely Worth It, Wonderful Experience"
"We spent 4 nights at Camp Jabulani. The accommodations were incredible and they made sure you were happy and taken care every step of the way. Our safari guide Dean was awesome and very knowledgeable..."
"Best Getaway Weekend Ever! We were treated like royalty and were made to feel welcome and at home." "We were treated like royalty and made to feel right at home. Our game ranger Jason was superb. So informative and knew just where to find game Interacting with the elephants was awesome The food was..."
"From the moment to arrived at Camp Jabulani we were treated as royalty. The lodgings were superb, food incredibly wonderful, all the staff were fantastic and our guide was positively the best we'd..."
"... I’ve been on 3 safaris in my time and this one has trumped them all by the biggest margin you could think possible. There is no other place to go to see wild animals and no other place to stay..."
"Very exclusive hotel with impeccable service that offers a complete game drive experience including high culinary. The dedication of all the staff is really the highlight of the hotel. It is an..."
"Every aspect of this camp is incredible. Great food, service and fabulous safaris. The staff were so attentive and made you feel at home. The accommodations were clean and comfortable. A truly 5 star..."
"Our best experience in South Africa"
"Camp Jabulani, offers you an warming and excellent treatment.The Staff is unbelievable profissional and attentive always ready to help you.the food and the chef Dilan along with Isaac are the..."
"The staff was welcoming, professional and we had the best service. Our guide (Jason) was terrific! Our villa was beautiful and we had a wonderful overall experience. I highly recommend Jabulani, it..."
"I LOVE Camp Jabulani. From the unique elephant experiences, to the exceptional service, cuisine and wonderful staff. Everything about Camp Jabulani is amazing. The elephant interaction is a wonderful..."
"Bush holiday of a lifetime"
"Our experience at camp Jabulani was awesome!Meeting the elephants was a happy and awe inspiring experience! Nature seemed in harmony on all levels! Our ranger Ruan was a superb guide who kept us..."
"Luxury five star bush experience"
"The experience at Camp Jabulani exceeded all my expectations. Meeting the Elephants, visiting the Endangered Species Centre, the exhilarating game drives and sundowners on the river bed. The food..."
"Best hospitality in one of the most beautiful parts of South Africa.Alone for the background story of the Camp is it worth to vistit. We have had the hightest standart of value, we could have wished..."
"The very best experience in Africa-Camp Jabulani"
"Total enjoyment was given from the moment of arrival to last moment on departingFOOD, Service, Room, Drives, Care,Curio shop, all was very well doneMiss all deeplyWould welcome a return to paradise"
"I can't imagine a better place exists! It took all I had not to cry when we had to leave. The elephant experience is so special! You're in for so many surprises, they think of and do everything to..."
"This was one of the best vacations my husband an I ever had. Everyone in Camp Jabulani is incredibly friendly, our guide was knowledgeable, funny and always exceeded our expectations in what animals..."
"Everything was amazing. The staff made us feel like family. The food was five star and our ranger was the best!!! Words cannot describe the absolutely amazing experience we had at camp. And the..."
"Camp Jabulani, was ALL and even more, than what we could ever imagine. Rooms fit for a queen, most amazing staff and impeccable service. Zandrie, our Chef's (Relais-Châteaux) food, was out of..."
"Unbelievable experience I will never forget !!! So many to thank. So many wonderful people to make our stay beyond all expectations. The elephant experience was outstanding. Thanks to Obert, Song..."
"Amazing adventures at Camp Jabulani!" "Camp Jabulani is a special place, where my family made memories to last a lifetime! Spending time with their herd was an experience unlike any other. Our guide was fantastic, and by the end of our 3..."
"Camp Jabulani exceeded all my expectations; the staff were incredibly welcoming and friendly and made us feel very relaxed. The suites were clean and the attention to detail was impeccable. Our..."
"We stayed for 7 nights in early September and had one of the best holidays we have ever had. 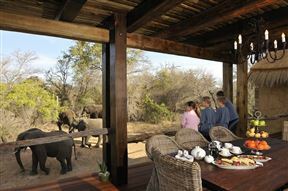 The reserve is fantastic, the accommodation and amenities are superb, and the staff wonderful. The..."
"We had a fantastic 2 night stay at Camp Jabulani, everything was perfect, from the friendly staff to fabulous cuisine to stunning rooms. And of course the amazing wildlife encounters, the main..."
"We spent a total of 5 nights at Camp Jabulani and had the most amazing time. From the minute you arrive you know you are somewhere special. The staff and I have to mention Stefan,Chantel, Ansie went..."
"Incredible experience at Camp Jabulani"
"We had a wonderful stay at Jabulani, the staff are incredible! After 2 meals Songs remembered how much i love tea and came prepared with a pot! Ruan and Andre are amazing guides, getting us some nice..."
"Camp Jabulani feels like home"
"I cannot say enough wonderful things about my stay at Camp Jabulani. This was a truly special experience. It felt more like I was staying at a friend's home than a lodge or hotel. My expectations for..."
"6 star property and service"
"There are times when rating something 5 stars is simply not good enough. This is one of those very rare occasions. We recently spent 5 nights at this amazing property, and simply could not have..."
"The entire experience was amazing and the staff went out of their way to ensure our anniversary was one to be remembered forever. Andre ensured we were always looked after and he is an amazing ranger." "What a fantastic experience it was to visit the lodge. The elephant interaction was my personal highlight and the game drives were more than what I expected. We also saw how the elephants swam and..."
"Best Bush experience by far." "Camp Jabulani and the Kapama reserve was a 5 star experience in every respect - highly recommended. Big 5 game experience with very competent and knowledgeable ranger and visit to the endangered..."
"Our time at Camp Jabulani was beyond wonderful. Our guide was incredibly knowledgeable, fun, and engaging, and every member of the staff made us feel at home. Meeting the Jabulani herd and the..."
"An education and experience that won't be forgotten." "My wife and I safari a few times a year. I have driven past Kapama Game Reserve many times while leaving and entering Hoedspruit and have never really thought of it as a destination I would..."
"We stayed at Camp Jabulani at the beginning of winter...highly recommend this season because there are no bugs and the brush is low so you can really see the animals. Our stay was nothing short of..."
"Second time and it only gets better!" "We visited this amazing Camp in September 2017 and loved it so much that we decided to go back again in May 2018 for my 50th birthday and anniversary celebration. On our first visit we managed to..."
"Wonderful rooms, excellent food, staff welcoming and great at their jobs, my guide was excellent and found all the expected animals plus more and was very friendly and knowledgeable. Very sad to..."
"From the minute we were picked up at the gate upon our arrival and saw our first lions on the way to the lodge, this was a purely magical experience.The entire staff treated us like family. Our..."
"Every aspect of this lodge was executed at the highest level of service, knowledge, attention to detail, and hospitality. You are with family and it shows everywhere. The design, food, guides, art..."
"Andre our Safari Guide was Outstanding"
"From the time you are met and escorted to the Lodge , you know you are going to be spoilt. You are first met with a cool drink and then given some time to look around this beautiful lodge and then..."
"Elephant experience at Camp Jabulani"
"If you love elephants then this is the place for you! The passion of the staff for these wonderful animals was inspiring. The camp is pure luxury in beautiful surroundings with everything you could..."
"Camp Jabulani - Game Safari (23rd-28th Feb ‘18)"
"23rd - 28th Feburary ‘18 Thank you once again to the Camp Jabulani team which made our stay SO SPECIAL. We felt like home, had an amazing time and spent great moments each and every day. A huge..."
"This was our second trip to South Africa in a year and we were looking to try different camps. We felt so relaxed from the minute we arrived at Camp Jabulani. Everyone was extremely nice and made us..."
"The lodge and villa Zindoga are wonderful. A very meticulous care of each and every detail in the villa was taken. All the staff members were extremely kind and warm. The wild reserve is very well..."
"Excellent service and stunning accommodation in a peaceful setting"
"The accommodation is private, with a small pool and deck area that are very inviting. The interior of the chalet is exquisite with all sorts of luxuries, and an unusual shower with glass walls to..."
"Camp Jabulani was amazing. The best Safari experience I had! Highly recommend the hotel. The staff is extremely good!" "Camp Jabulani was amazing. The best Safari experience I had! Highly recommend the hotel. The staff is extremely good, rooms are beautiful and our ranger was the best! Also the food is very very..."
"One of the best hotels I ever been"
"If someone says it's not 5 stars, the one with problems is not the hotel!! Everything's perfect! Every detail! The decor, training of the staff, the ranger knows everything about the animals and even..."
"Dream location, beautiful rooms and excellent staff : this is hospitality as it should be." "The 4 of us were warm welcomed and the rooms exceeded our expectation in all respects. What an environment ! The staff was very friendly and the chefs personally attended very table at lunch and..."
"Wish I Could Give More Than 5 Stars." "Just returned from an amazing stay at Camp Jabulani. What can I say that will properly give credit to this experience. The lodge and guest rooms were absolutely beautiful. The staff was friendly and..."
"Don’t mess with the Dohan"
"Our first experience of Africa....magical!!!! Under the expert guidance of ranger Dohan we were lucky to view the big five in under 24 hours....plus so much more. Three days of discovery, adventure..."
"Good friendly knowledgeable people...............great time"
"Had a great time learned a lot about wildlife...............highly recommend the elephant experience....including the establishment unhesitatingly...............catered for our dietary requirements..."
"Invites by our friends we stayed at Camp Jabulani. Reception, the food, the game drives, the rooms with beautiful views and not to forget the excellent service and friendlyness- we enjoyed it very..."
"I stayed at Camp Jabulani for four nights after dreaming of it and saving for it for years. Even with all that anticipation, it still exceeded my imagination in every way possible. The lodge itself..."
"We had a family trip back in August 2017. Camp Jabulani is amazing...the elephants are unique, and the other big animals can be seen here as well. Our guide was so knowledgeable and added so much..."
"I took my sister for her 60th birthday and we were like 2 little girls again! The adventure of a lifetime! Lovely people, delicious food and beautiful animals! It was Heaven on Earth! The staff was..."
"Camp Jabulani where dreams come true"
"Camp Jabulani was the epic ending to my life dream of visiting South Africa. From the arrival of Dean standing at the airport to greet me, and the only one that looked the part of a safari guide. To..."
"This was a return trip to SA, but our first time at Camp Jabulani. There are many game reserves/safaris to choose in the Kruger/Kapama area and we have stayed at several of them. However, our (too..."
"We spent 3days at camp jabulani. Our ranger, Andre was extremely knowledgeable about the animals. He tailored our visit to our wishes. We saw far more than we expected. The food was fantastic..."
"We had the best experience at this incredibly beautiful Lodge. The staff were very friendly, food was fantastic and our game ranger Dohan Scheepers went beyond the call of duty to make sure we have..."
"Surpassed all expectations........will definitely be back with our whole family for our Anniversary next year. An unforg"
"Surpassed all expectations........will definitely be back with our whole family for our Anniversary next year. An unforgettable experience. ......excellent guide, excellent food, excellent team..."
"We stayed at Camp Jabulani for 3 nights as the first part of a 2 week trip and what a start. From the moment we were collected by Craig, our guide, from the airport until leaving, we experienced..."
"The most amazing we have ever stayed at!" "We have been very blessed to travel all over the world and stay at some amazing places, but nothing will ever compare to the experience we had here. We heard about Camp Jabulani right before the..."
"You are hooked by the sight of the swinging Jabulani's trunk as the fiery red sun sinks and the orb of an eerie full moo"
"Flying in from J-burg, i look out on a world that glows with the flaming intensity of Oz's Red centre. Savannah is broken by sheer rocky escarpments, all beaten down to red clay over the aeons..."
"Extraordinary Safari Experience - The best of the best !" "We enjoyed everything about our stay. Dean, our guide was extraordinary. On the first day he showed us 4 of the Big 5 and on the second day we saw the lion (all 5). He tracked down the leopard on our..."
"There is a reason this is ranked as one of the finest lodging and safari experiences in the world. It is exceptional. 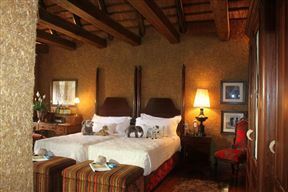 Three couples stayed in the three rooms so the private Zindoga Village, where the..."
"I LOVED JABULANI!!!! It met every expectation - and greatly surpassed our expectations actually! I would say in many ways it was the HIGHLIGHT of our trip to South Africa and I highly recommend it..."
"This is a gem! Our driver was amazing Rouen. He is great with the kids and his attitude iswonderful. The chef Alex is a fabulous chef and as my kids said several times, " this is the best (steak..."
"Exceptional Experience Awaits You! Elephant Experience to Animal Rehabilitation at HESC"
"I thoroughly enjoyed my stay at Camp Jabulani! Truly a memorable experience! The highlight of the staying was definitely the elephant interaction and the visit to the Hoedspruit Endangered Species..."
"Our stay at Camp Jabulani couldn't have been more PERFECT. The staff has outstanding hospitality skills and they are attentive to every single detail to make your stay an unforgettable experience..."
"The staff, rooms, food, ranger, game drives...EVERYTHING.... was fantastic!!! We could not have dreamed of a better experience!! When we were picked up at the airport we knew this was going to be..."
"Camp Jubalani Exceeds All Expectations!" "Our first experience with safari was here at Camp Jabulani. We were rewarded with memories of a lifetime. Everything from the exceptional game ranger (Ruan), to the room, food, service, and special..."
"We stayed at CJ with one adult/2 young teens in July, and have nothing but great things to say about the lodge. As other reviewers have noted, the accommodations are absolutely spectacular, food is..."
"The Only Way to Safari!" "Our daughter is conducting elephant research at Camp Jabulani and encouraged us to come stay at the camp. All I can say is AMAZING! Every detail imaginable for the best safari and elephant..."
"3 night stay at Camp Jabulani with family of 4 2 adults and 2 teens boy and girl"
"We thoroughly enjoyed our stay at CJ. The chef was so accommodating with our picky eating teens. Food was wonderful. I especially loved the daily homemade seeded bread and looked forward to the..."
"One year later -- still looking at pics"
"It is one thing to leave a spectacular place like Camp Jabulani and remember the vacation fondly; it is quite another to still be thinking about it one year later. Camp Jabulani is such a place..."
"If Only I Could Give 10 Stars"
"We had very high hopes for our first ever safari and I'm shocked that they exceeded my wildest expectations. The "camp" was simply amazing, and the staff was the biggest part of what made it great..."
"Fabulous venue. Staff cannot do enough for you. id not see many animals. But the elephants were fabulous as usual. Check out the light switches, They are difficult to work out. Maybe they should..."
"Our family stayed at Camp Jabulani for a few nights before starting an organized tour that included several locations in South Africa. Although we enjoyed the tour very much, Camp Jabulani was the..."
"We stayed at Camp Jabulani for 5 days in the Zindoga Villa and had the most amazing time. I was there with my family of 4 (2 daughters aged 13 & 11) and my in-laws. From the moment we landed at the..."
"Camp Jabulani is incredible! From the rooms, food, rangers (Dohan was amazing!) to the amazing elephant interaction, this place is top notch. They have impeccable attention to detail, every inch..."
"Camp Jabulani was a great experience but very different from our experience at Sabi Sands. If you love elephants this is the place to go. We loved the elephant experience but were sad we did not..."
"A truly exceptional safari experience. The attention to detail in the lodge and the personalized service was amazing. The meals were divine and served by the most attentive butler. The Ranger was..."
"Nature and luxury meets in Jabulani. What they advertise is TRUE. The animals are real and so close; the lodge is beautiful and way more spectacular than any photo will show; the food is amazing; the..."
"We stayed at Camp Jabulani in South Africa for 3 nights and it was by far the most interesting and fulfilling aspect of our 1 month stay in Africa. The accommodation was above expectations and the..."
"On my first trip to South Africa, I was fortunate to stay at the beautiful Camp Jabulani. With this, I am now ruined. It was the most amazing service from the moment we were collected from the..."
"The team are all very friendly, the rooms are very spacious and private hidden away in the bush. Love the walking bridge between the main camp to the rooms. Dean was a superb guide and host along..."
"Exceptional. Luxury, quality, style, 5 star service, excellent food, but still an authentic African bush experience." "The villa-style accommodation is private, luxurious and spacious. Lodge staff are well trained, friendly, unobtrusive and attentive. The chef personally comes to take your order before preparing your..."
"Loved our experience at Jabulani! The interaction with the elephants is hard to put into words. It is something we will always remember. Very special!, our guide Dean was wonderful explaining so much..."
"Camp Jabulani the best place in the world"
"Camp Jabulani is the best place in the world. They no longer offer Elephant backed Safaris. My experience with the Camp Jabulani herd was unforgettable. I was able to watch them at one two..."
"Excellent stay at Camp Jabulani"
"Camp Jabulani is an exceptional bush experience and I would highly recommend it! All the staff is very friendly and helpful. The bush knowledge of the rangers is of the best I have encountered and..."
"One of the best trips of my life"
"One of the most impressive experiences of my life: the reserve, the service, food is delicious, etc. I strongly recommend it if you want to have a perfect wild experience in Africa and spend time in..."
"Camp Jabulani is an incredible lodge with very friendly and attentive staff and a beautiful property. The little touches they had shows how much they care about the customer experience. We had a..."
"Amazing lodge and excellent service"
"The staff was wonderful, food was delicious, game drives were amazing (we saw all of the big 5) thanks to Andre and the villa was like staying in a palace! Everyone treated us like royalty. We had..."
"Best holiday of our lives!" "What a truly wonderful place. Firstly, the safaris were excellent, our guide, Lisa, was very knowledgeable and friendly, nothing was too much trouble for her. Whilst it is a fenced reserve, which..."
"They really care about the wildlife"
"From the moment we were met at the airport we felt truly pampered. The staff were very attentive and took care of every aspect of the experience. Every meal was first class and the "sundowners..."
""Once in a Lifetime Experience" Doesn't Come Close"
"We left Camp Jabulani this afternoon after having had the three best nights of our lives. We had done a ton of research on game lodges since it was the climax of our honeymoon trip, and Camp Jabulani..."
"This was my second visit to Camp Jabulani, so my expectations were very high after my first experience and the Jabulani Team made this visit extra special again. The food was superb, I recommend the..."
"5 Star Experience from arrival to departure"
"Our family's 3 night stay in the Villa was the last destination on our 11 day trip to Victoria Falls, Cape Town, Sabi Sabi and Kapama South Africa. It was a perfect ending to our trip in that all 7..."
"Our experience at Camp Jabulani was well above our expectations. From the food, staff, and amass amounts of beauty surrounding the Camp, we could not ask for more. This was our highlight of our South..."
"Our ranger, Craig, affectionately called us elephant magnets. We saw elephant dusting, swimming, playing, looking after their young. If you love elephant and can sit and watch them for ages, Camp..."
"A stunning place in every way"
"We spent a delightful time at this stunning lodge. The rooms are beautiful and comfortable in every way. The reserve is very beautiful and the game viewing was excellent and varied. the wild elephant..."
"I had a wonderful honeymoon stay at Camp Jabulani. The staff was kind and helpful, the guide was terrific, and the accommodations were terrific. We saw a terrific diversity of wildlife, had an..."
"Probably for me one of the greatest and most memorable experiences of my life and it's all thanks to Camp Jabulani. From the pick-up at the airport by our assigned Rangers Craig and Lisa to the very..."
"What a extra-ordinary experience. Everything was top notch, the staff very friendly and competent, delicious food and the sun downer stop during the game drive exceptional. All the meals are plated..."
"Fantastic time at Camp Jabulani"
"We had a wonderful time at Camp Jabulani. Our ranger Dean was fabulous! His wealth of knowledge from the smallest insects to plants and of course the Big Five is truly amazing. Candice in the spa..."
"It was a incredible experience staying at Camp Jabulani. Everything was perfect! Congratulations for this perfect place! I hope we can return as soon as possible. I fell in love with the Mambo. 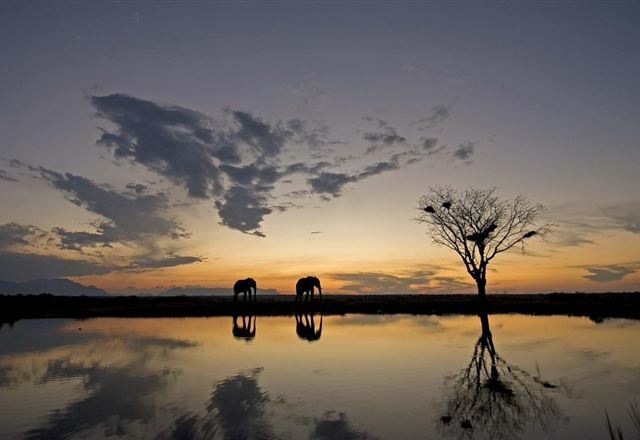 This..."
"Camp Jabulani was the last stop on our honeymoon and the second safari. The other safari was Ngala. The rooms and service were the best out of all our stops. Everything was very personalized, the..."
"A go at your own pace safari"
"Camp Jabulani was an amazing place that really catered to what you wanted to do. This was our 3rd lodge that we stayed at on our trip, and our ranger really made sure we got to do what we wanted to..."
"This was a terrific experience which completed several holiday sections including Rovos Rail. The opportunity to volunteer at the endangered species centre was a high point. Jabulani will provide..."
"Very high end safari lodge with personal service. The days are tailored round your needs I.e no set times to go on drives, no need to eat dinner at 8pm and no group meals. The food is delicious and..."
"This was our first safari and I can't imagine ever topping Camp Jabulani. The staff are incredible, food and service amazing, nothing was too much trouble. 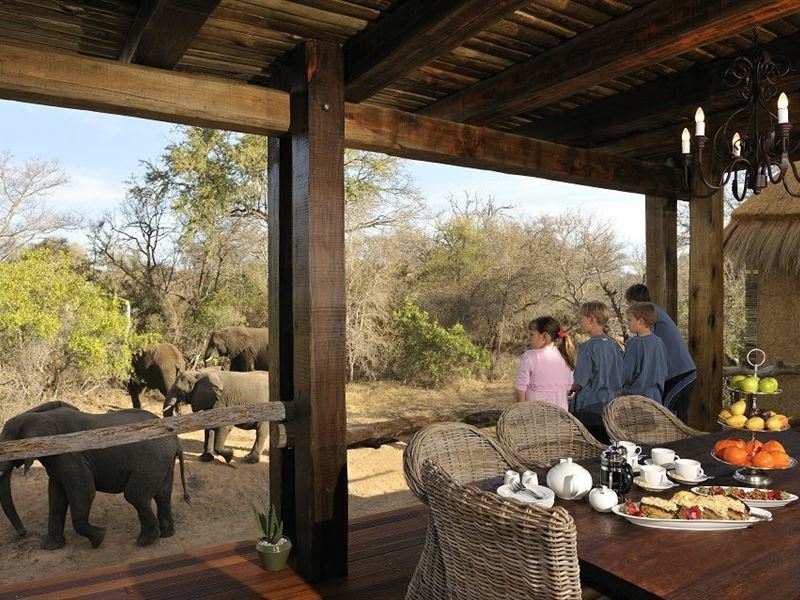 We were so lucky to see all the big five..."
"This was a truly great experience. We were greeted like family upon arrival. The rooms and facilities were awesome. The elephant that were on the grounds were quite an experience. Afternoon and..."
"Amazing time at Camp Jabulani"
"By a long way the best lodge I have visited, such a beautiful place, private, very well managed, excellent food and service, absolutely loved this place highly recommend it! Very very relaxing!! Book..."
"Outstanding - enjoyed every minute at Camp Jabulani"
"We stayed in the beautifully appointed Zindonga Villa for 4 nights and found it to be absolutely perfect for our family. The location, accommodation, meals, activities and staff were all..."
"Wonderful food, spacious room, attentive staff, everything perfect. Best hotel I've ever stayed in. The location is good, in Kapama reserve, and you can see several animals already on arrival from..."
"Charming place, great people and amazing safari. We saw all the BIG FIVE. The elefant ride with Jabulani was a unique experience. Our ranger took us to many different spots in Kapama area. The food..."
"My wife and I, went to Camp Jabulani in our honey moon and we enjoyed every minute of our stay. The service was perfect, we loved all those meats experience and had greats safaris. Overall, we had a..."
"OUR STAY AT CAMP JABULANI"
"Camp Jabulani is the place to stay when visiting this area. It is very comfortable and the staff are all terrific. The only comment I have is that the dinner portions are about 1/3rd too small. I..."
"Excellent establishment but guide training needs attention." "It is with a heavy heart that I write this review. Although Camp Jabulani is probably the most beautiful and intimate lodge I have ever visited, with an amazing team I felt that our guide Michael..."
"First Class all the way!!" "Absolutely beautiful! We really couldn't ask for better. Service and rooms were great! Each room has it's own soaker pool which I got a lot of use out of during the afternoons after lunch and..."
"It was a fantastic experience in this magical place! We loved everything: service impeccable, amazing food and very romantic place. During the safari we had an impeccable service, the ranger had a..."
"A life-long dream for my aging father and I. The staff was WONDERFUL, and our guide Andre was brilliant, personal and knowlegeable. They even helped my my dad's mobility issues. I just can't say..."
"Great place, great food, great ranger.. Definitely a once in a lifetime experience. From arrival to departure, you are treated like royalty.. The wildlife is next to none and we saw all the big 5..."
"Incredible property, service & staff"
"We went to Camp Jabulani for our honeymoon and it was incredible. The property, food and staff is the best that we've ever experienced. They go above and beyond, ensuring you will have a memorable..."
"Classic high class safari camp"
"This is a relaix and chateau camp.It is a perfect translation of the African bush blending a classsic and elegant interiors.it has open plan dining room.Food is michelin star level and the staff is..."
"A holiday destination that is a must"
"Camp Jabulani is unique! It provides the ultimate experience with elephants, its rangers provide the perfect safari within the game reserve, the catering staff provide exceptional meals, the level of..."
"Everything at the camp was first class, from check-in to dinner lunch breakfast was fantastic. We had Craig as our guide and he was fantastic can't ask for a better knowledgeable person to educate..."
"This was my first Safari adventure. The staff and accomodations are exceptional. Everyone from the chef Dylan who prepared delicious meals tailored to the guests wishes to the game ranger Andre who..."
"A true home away from home (the Zindoga villa)"
"Stayed for three nights in the Zindoga Villa this past week - family with three kids 11, 8 and 6. What can we say - it was a truly amazing experience. From the private ranger Craig who was a very..."
"My husband and I stayed at Camp Jabulani for 2 nights in September and the lodge/experience exceeded our expectations in every way! The luxurious suite was spacious and had a deck with plunge pool..."
"We stayed as an adult family of 6 in the Zindoga Villa (My wife & I and both sets of parents) We had an incredible time at Camp Jabulani. The accommodation was luxurious and tastefully african with..."
"A Great Camp with Management Issues"
"We had stayed at Jabulani before and found it relaxing and the elephant experience wonderful. This trip was reserved well over a year in advance and yet we didn't get the room we requested. On..."
"Me and my wife spent 3 nights at Camp Jabulani as part of our Honey Moon and we couldn't be happier. The hotel is very exclusive and we ended up having an experience much better than we were..."
"The folks at Camp Jabulani made us feel at home and the accommodations were first class. I am a very picky eater and the chef comes to your table and if you do not like what is on the menu - they..."
"My family and I spent a remarkable 3 days at Camp Jabulani. Our experience with the staff, the accommodations and the elephants truly exceeded my every expectation. It was a memorable once in a..."
"I recently stayed at Camp Jabulani and it was a very luxurious safari experience. The food is delicious; every meal is unique. The rooms are beautiful, complete with a fireplace, private heated pool..."
"Safari and elephant experience at Camp Jabulani"
"We had such a wonderful time during our two days at Camp Jabulani--we wouldn't have missed it for anything! The rangers were knowledgeable and went out of their way to provide information, serve as..."
"Elephant back safari. Elephant sanctuary, Chetaah preservation." "Ultimate luxury safari lodge ;extraordinary experience. Exclusivity and attention to details. 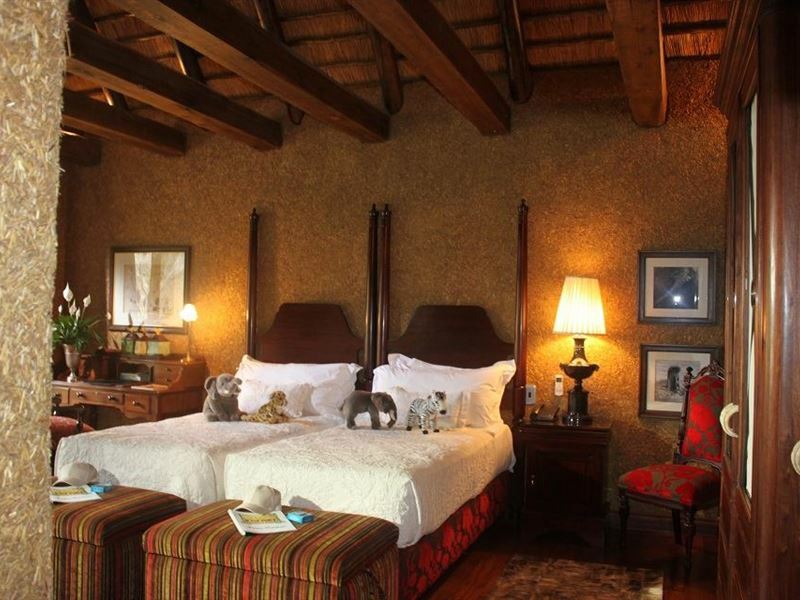 Lavishly decorated suite, fire place, private deck with plunge pool overlooking the bush. Exquisite food ." "This was the most amazing experience. Everything is taken care of so don't have to think about anything which what a vacation should be. The guides are excellent. Food is fabulous. Rooms are suburb..."
"The experience was Fantastic! Everybody was extremely nice with us, always have a smile and offering anything you need. The Villa is the best place to be with family where you enjoy the free moments..."